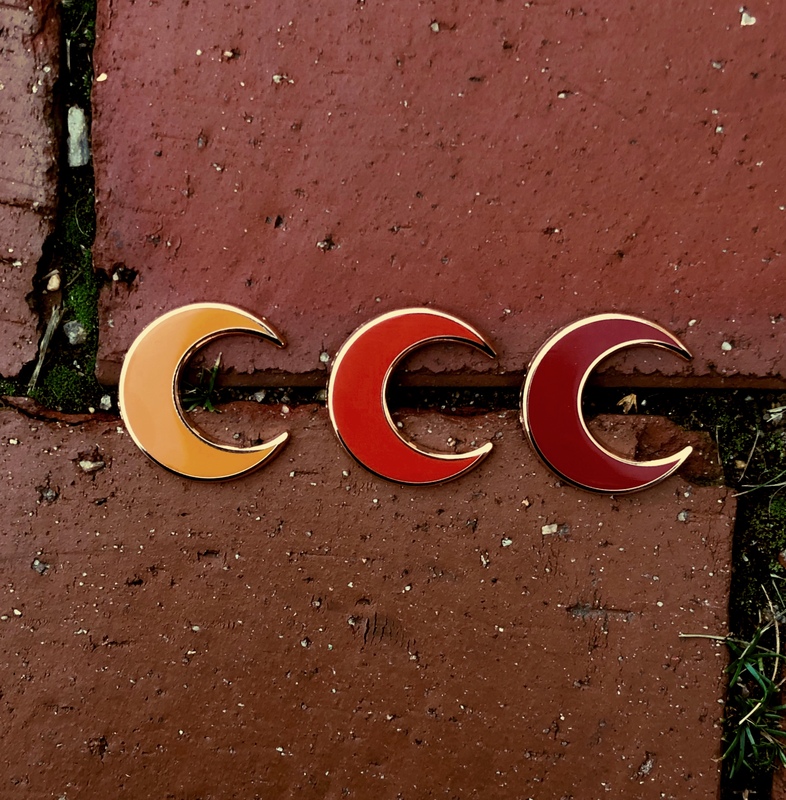 Crescent moon pin. 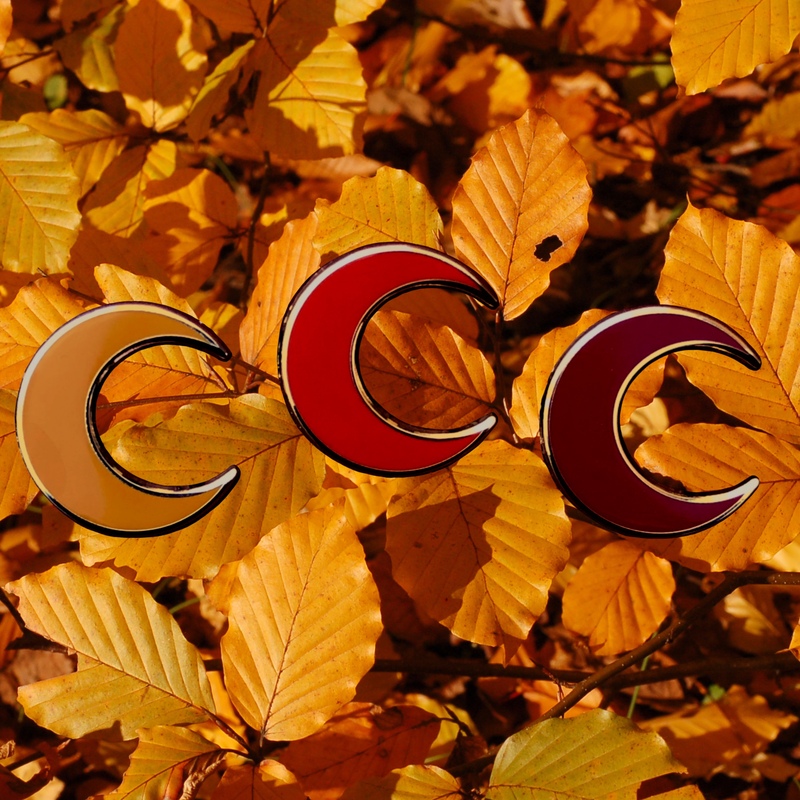 1” comes in more colors, check my other listings. Waxing or waning/flippable. Hard enamel. colors my vary slightly from images on screen. Buttery Suede Yellow, Hot Orange, and Deep Dark Berry.